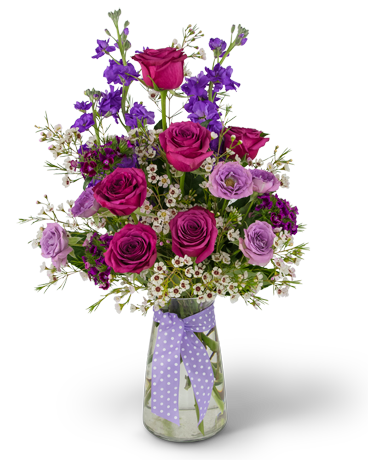 Show your appreciation with the Song of Gratitude bouquet. Visited by a single butterfly, these posies are delightful. 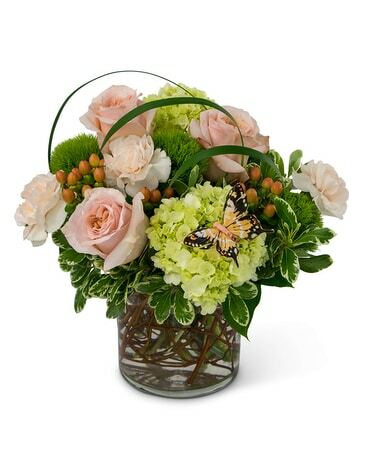 Peach roses, green hydrangea, dianthus and carnations are surrounded by berries, greens and looped lily grass. What a sweet surprise!